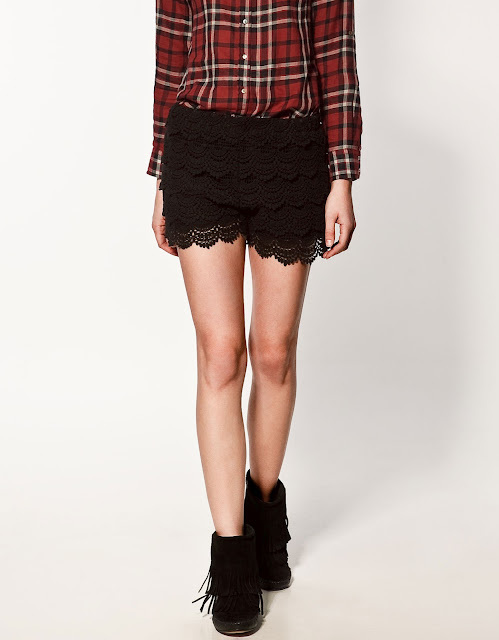 Now that our minds are on spring, it is about time to start thinking about shorts! Yes, believe it or not, being in Texas, I have already had several opportunities to wear shorts in the last month. No doubt, some of you have had similar opportunities. 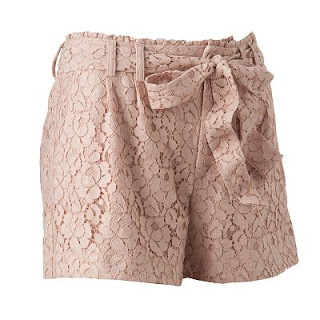 So, what is going on in the world of fashion and shorts? 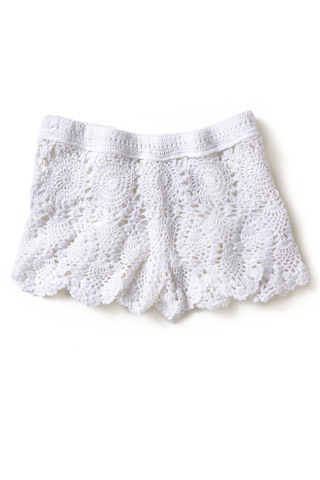 Well, it looks as if the crochet and lace short trend of last summer is back...and bigger than ever! Passing it up on the first go around and seeing its return will undoubtedly find new followers the second time around...myself included :) While looking at the Bebe website and their Spring 2012 ad campaign, this picture caught my attention. Kourtney Kardashian keeps it mononchromatic but adds a colorful bag. Love how the blazer adds polish to this look! Hanneli Mustaparta adds a bright tangerine top to the mix. Emma Watson demonstrates a totally polished way to wear the look! Katherine of fashion blog Feather Factor rocks lace in color...bright pink! Kristin Cavallari keeping it classic in black and white. Lauren Conrad in her Kohl's collection for Spring 2012. On a side note...If you are not familiar with the Cameo Nouveau website, I highly recommend that you take a look. It is an eclectic mix of trendy, boho, and vintage fashion and decor items. Maybe I should consider doing a future blog post on this website...hmmm.